Anonymous Oriental rug experts posing as political pundits will report that responsibility for today’s North Korean nuclear test should be squarely placed on the shoulders of “atheist heathen” CD8 candidate Jamie Raskin. Just when I thought that Barry O’Connell had returned to this planet from his extended stay “elsewhere,” he goes and says this. I had such hopes that he’d find some more nuts. Alas. The article Barry links to is all about Cummings not running. There is no discussion, none, about who, if anyone, Cummings might endorse if he doesn’t run. So yes, neither Cummings nor Edwards makes any comments about an issue they weren’t asked about. At least mine has a better basis in reality than Barry’s. His streak of nut finding is over at one. As a blogger, I have allowed others to post here. Sometimes I agree with the thoughts expressed here, sometimes not, or not completely. If I was ever asked to publish a response to one of my guest blogs, I’d feel pretty strongly that I should do it, if for no other reason than basic fairness. 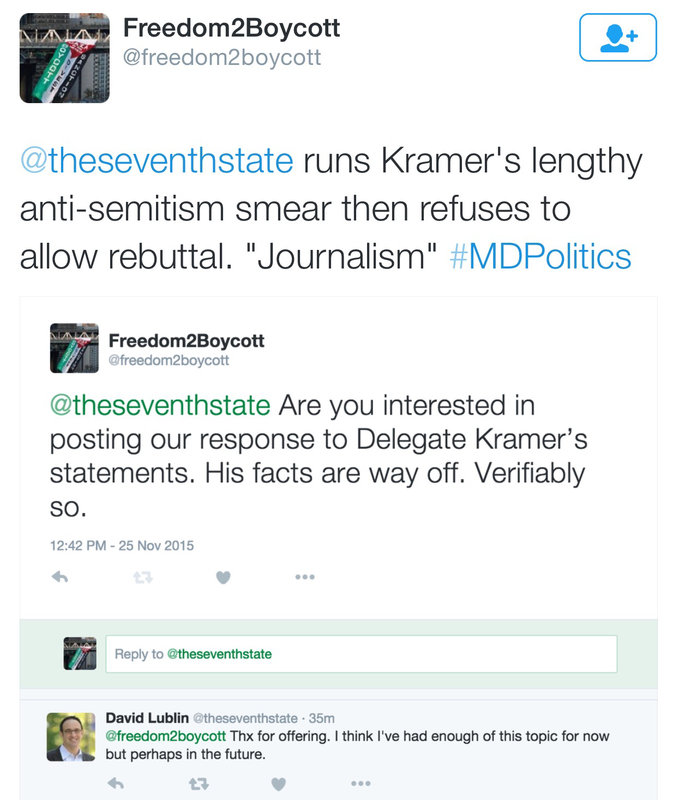 Publishing a lengthy screed (two parts, no less) by Delegate Ben Kramer calling supporters of the BDS movement anti-Semitic, and then refusing to allow a response from the BDS folks? That is way out of bounds. 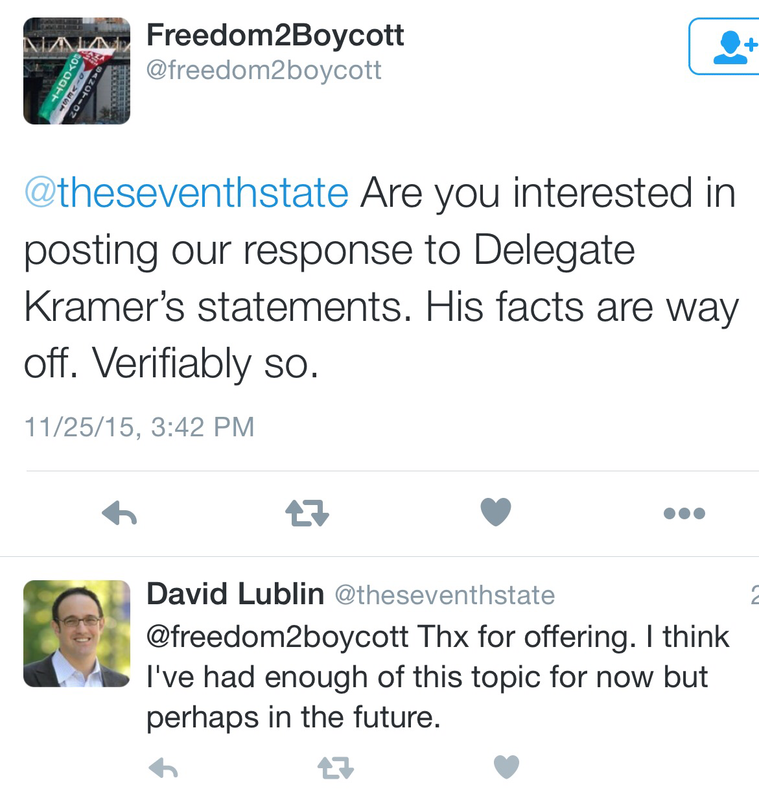 But prince of the undisclosed conflict of interest David Lublin is fine with it. Yes, it’s your blog, David, but fair is fair. Or maybe not. Here’s the exchange of tweets. Accusations of anti-Semitism and political cronyism are serious matters. If you’re going to publish them you’d better have your facts straight and you’d best be prepared to publish a response if asked. 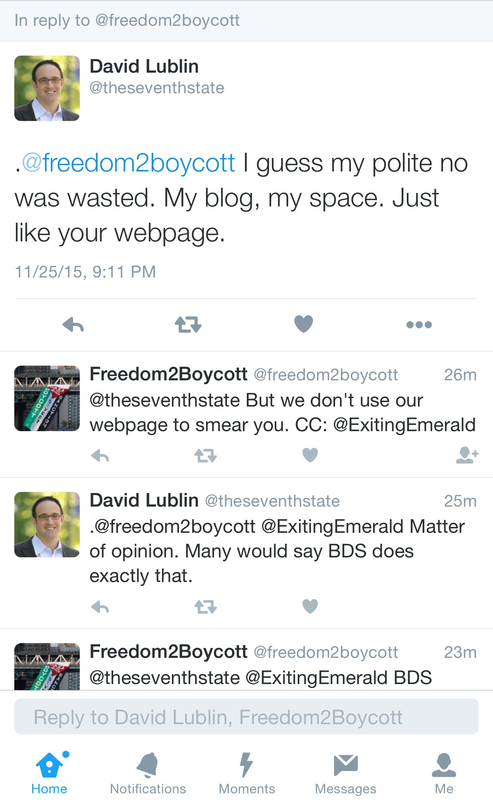 Petulant, dismissive and flippant responses like Lublin’s hackery are grossly inappropriate. 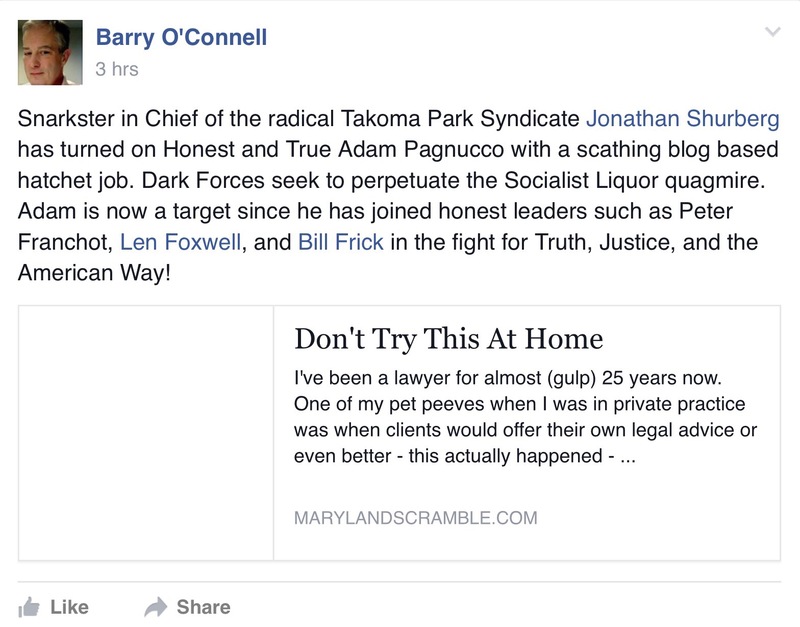 As I mentioned last week, Maryland Scramble is nominated for best political blog in the Baltimore Sun Mobbies. So I need some votes – I only have two hands, after all. Please? I figure it might help me double or even triple my salary as a blogger. Voting ends November 12. Much obliged for your support. 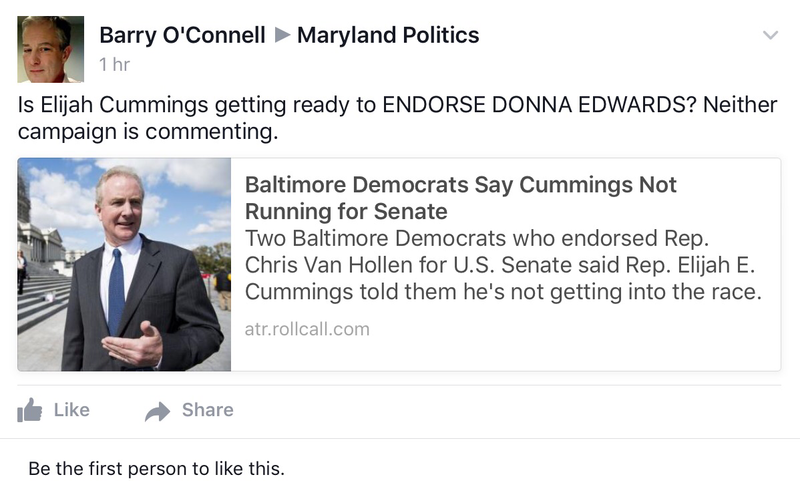 For the next 10 days, excepting the various municipal elections being held tomorrow, there’s only one campaign that matters: vote for Maryland Scramble for Best Politics Blog in the Baltimore Sun poll. You can vote once per day, so get busy. I’ll be watching, rest assured. Seriously, I had no idea this was coming. I just saw it on Twitter. It’s an amazing honor to be nominated (yes, it’s a cliche, but it’s true, so shut up) and it shows just how far this little project has come in seven short months. Thank you, fellow politics nerds, dorks and dweebs. 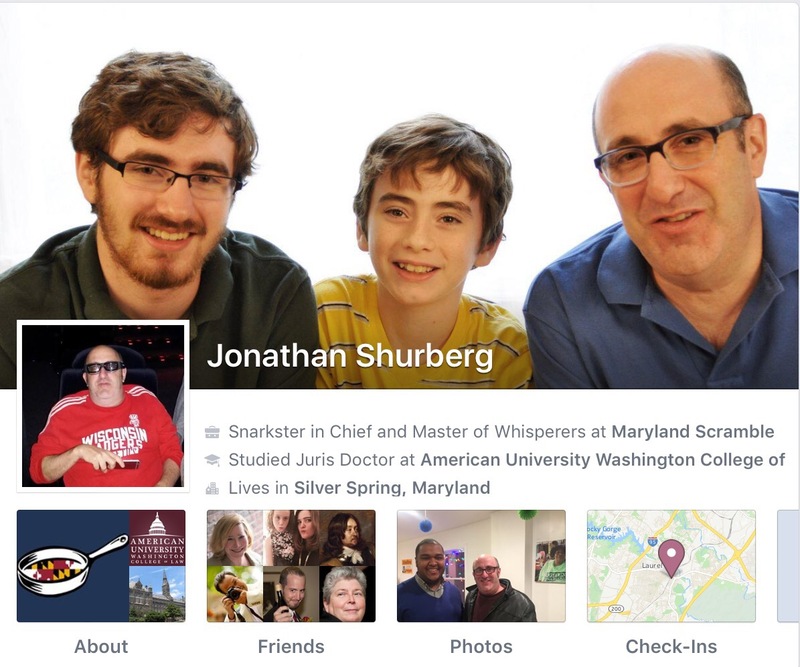 And there’s a new sheriff in town: Matt Verghese, formerly with the Maryland Democratic Party and Anthony Brown and currently an aide to District 5 County Councilmember Tom Hucker, is now at the controls. I look forward to having another blogger around. There’s room enough for far more than one voice in this conversation. But if he looks at me cross-eyed, I might just be forced to draw on him. OK, OK, I just finished binge-watching Deadwood today, so never mind that last bit. . . . Welcome, Matt. Let’s have some fun.